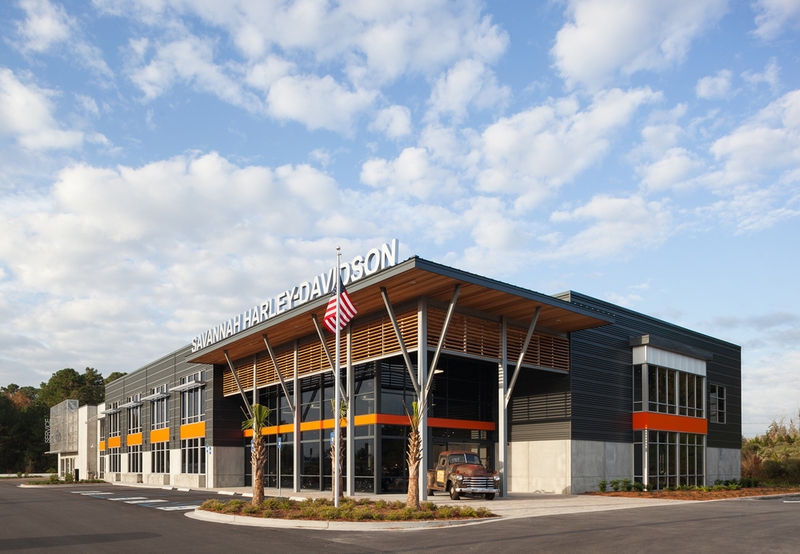 The Harley Davidson Company promotes non-prototypical unique concepts for all of its dealerships. 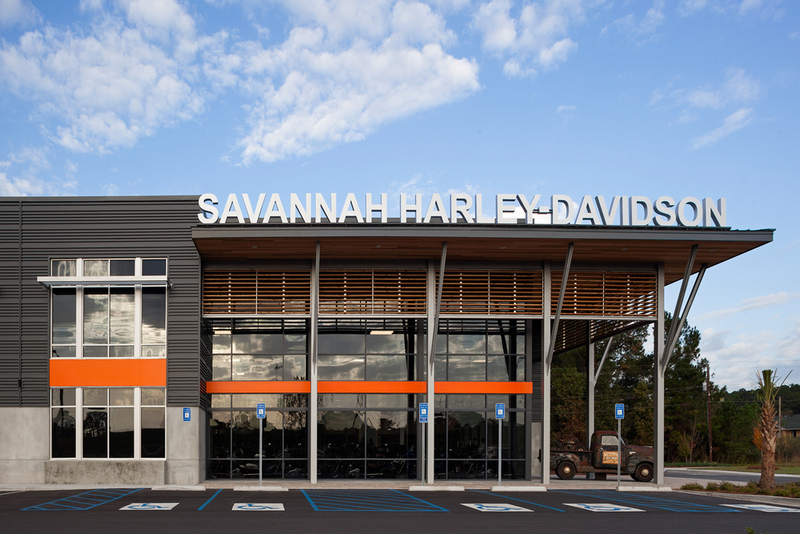 With this is mind Savannah Harley Davidson wanted to develop its own identity on this highly visible site along interstate 95. 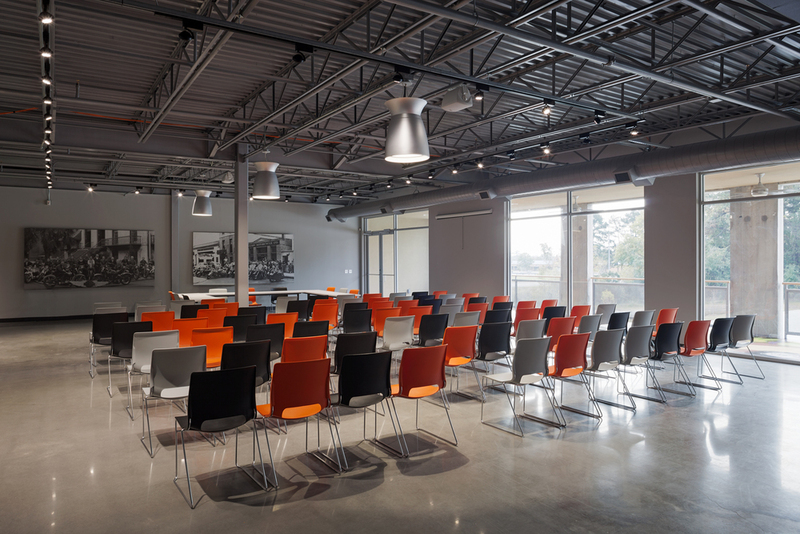 The client was interested in creating a modern industrial aesthetic that projected the brand identity through the exposed materials and color. 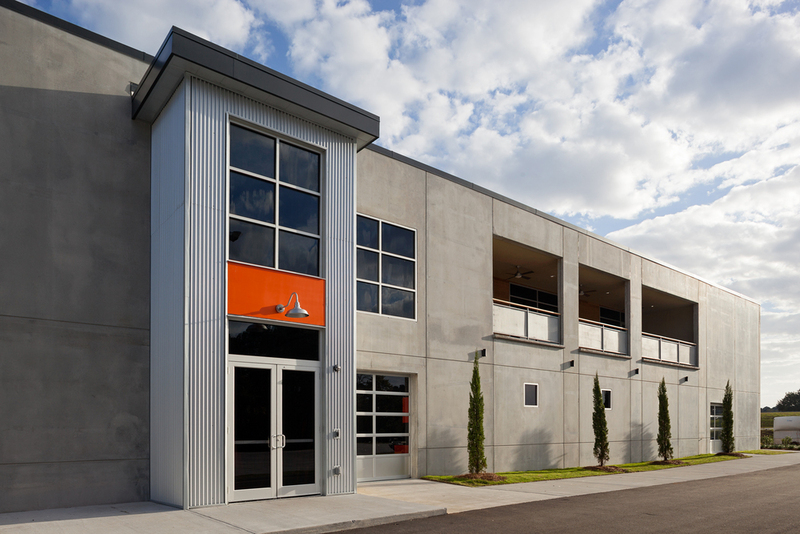 The building is constructed primarily of exterior prefabricated precast concrete panels and exposed steel skeleton. 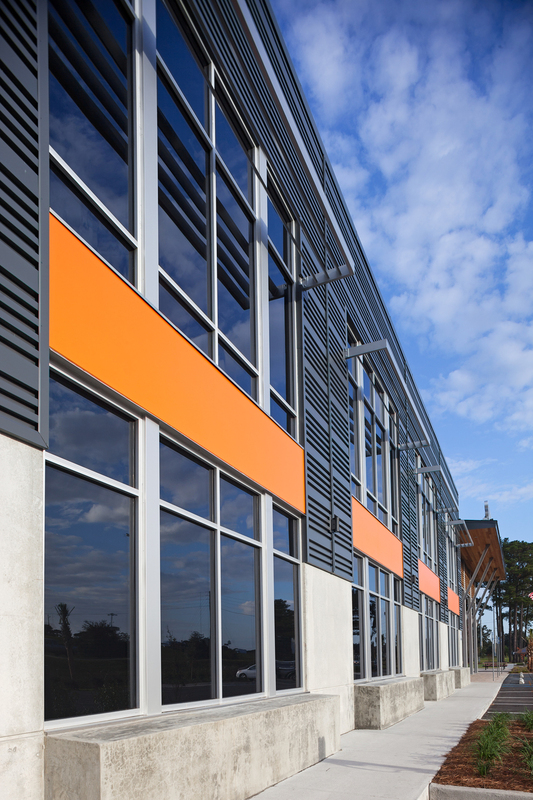 The exterior walls are finished with architectural metal panels, storefront glazing systems and wood and aluminum sun louvers and wood entry ceiling. 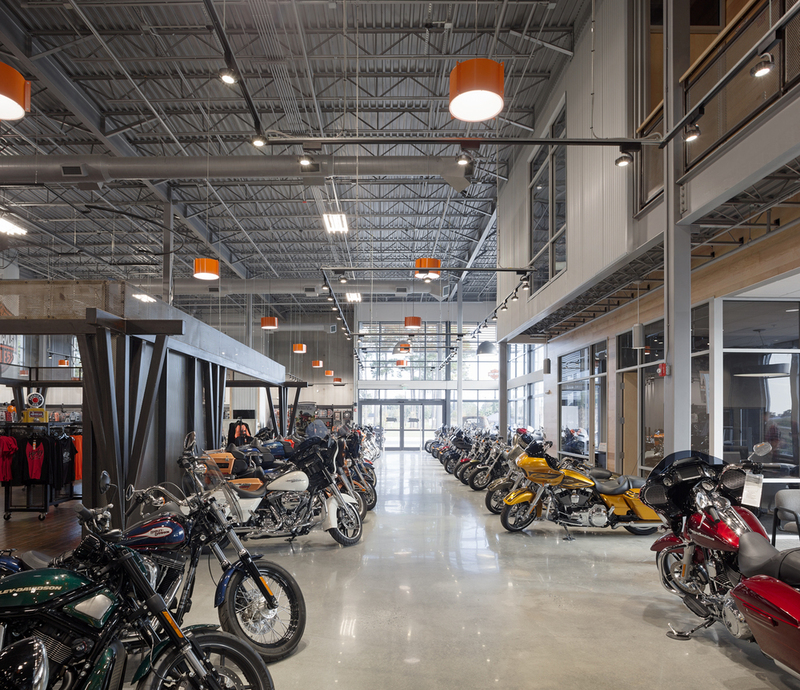 The exterior finishes carry through the interior with exposed steel and concrete, wood cladding on the walls and accent light fixtures in orange to soften the industrial garage aesthetic. 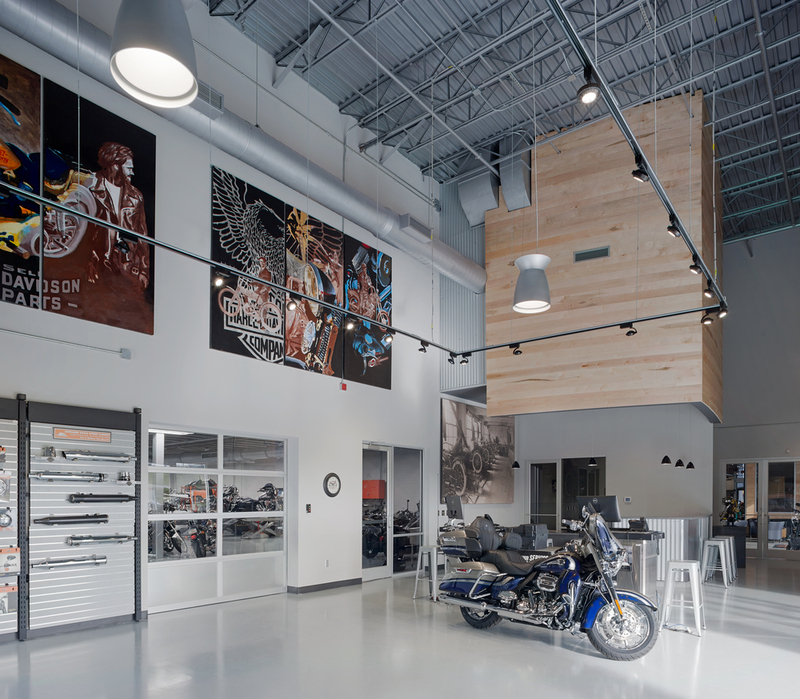 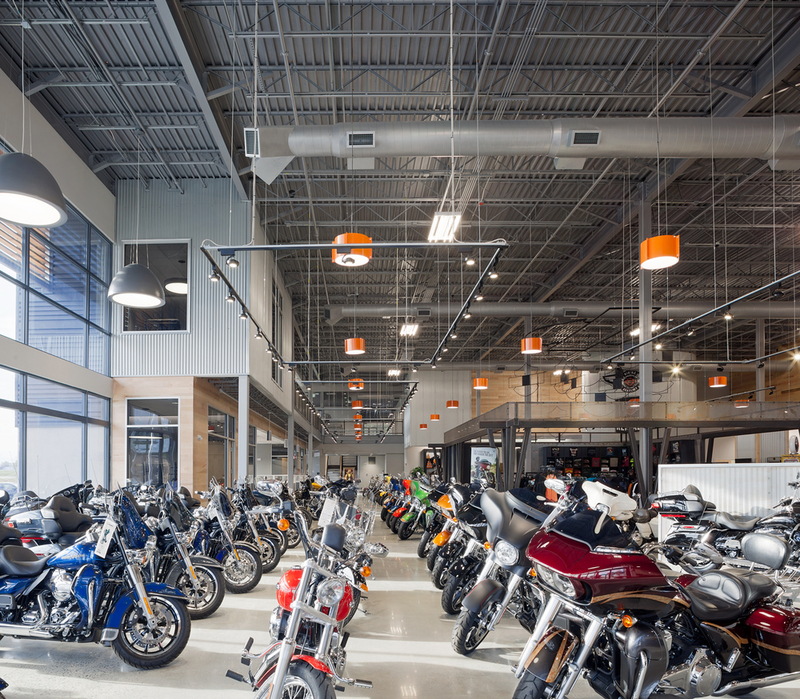 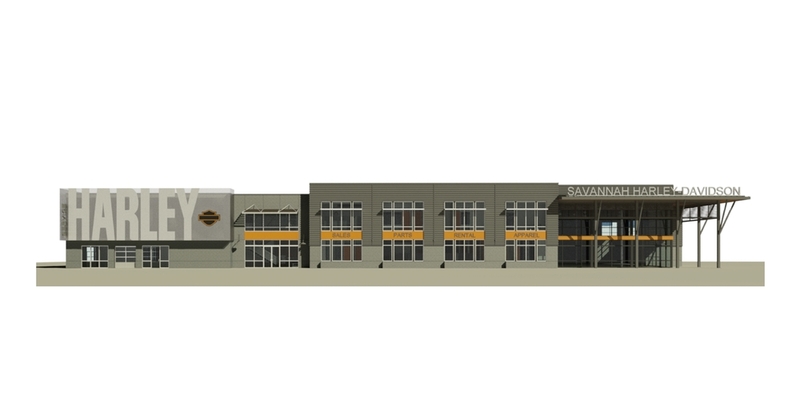 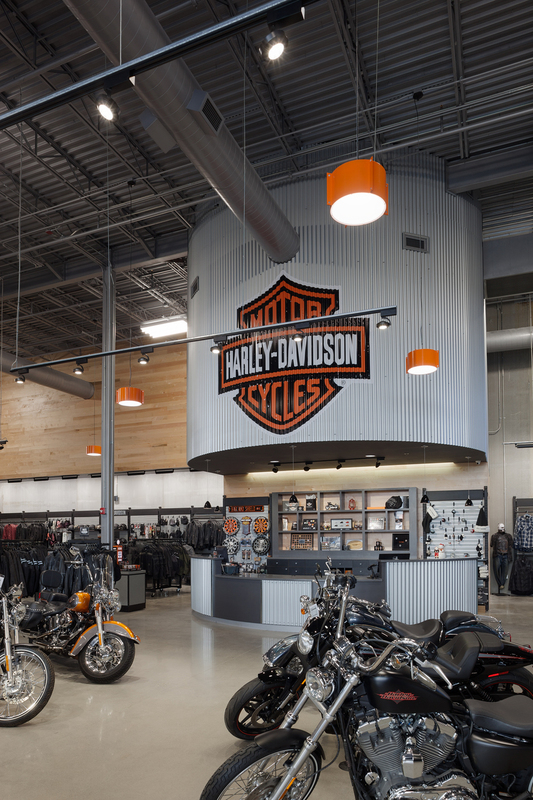 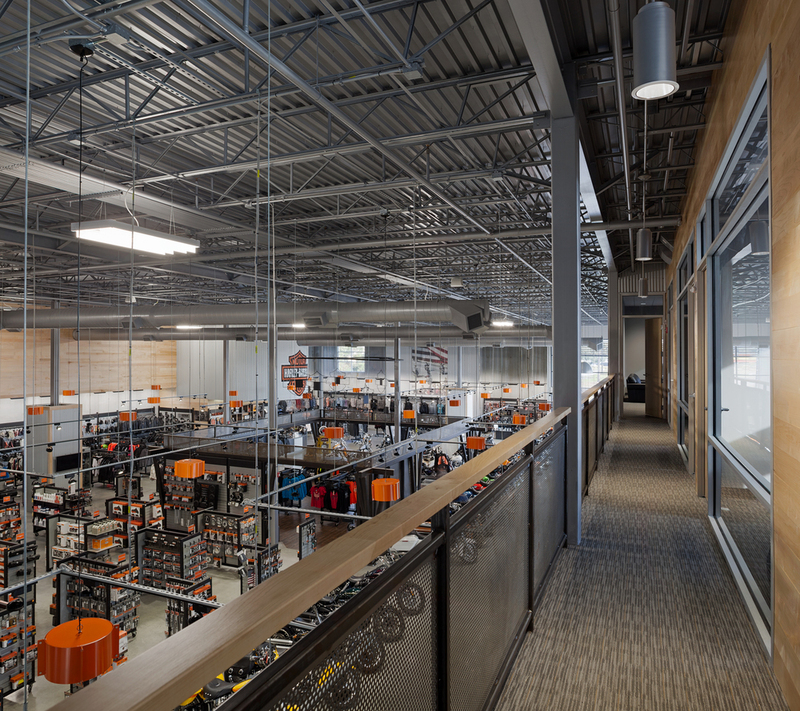 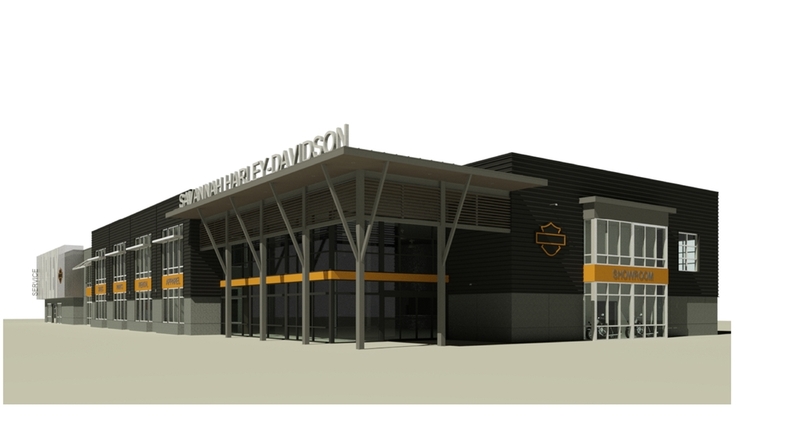 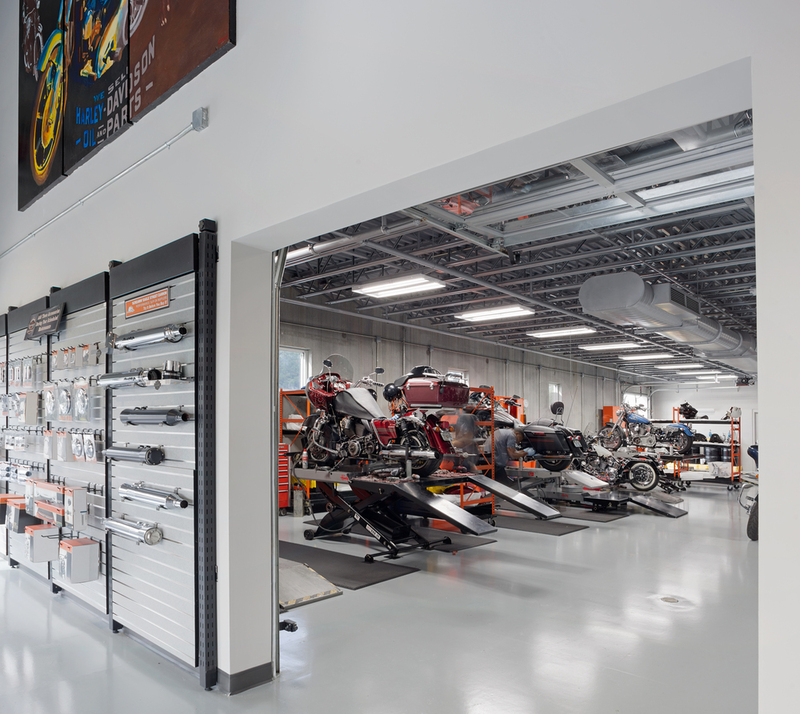 The overall program for the 45,000 sf building includes a generous retail area, sales offices, service garage and a large meeting room for the local Harley Davidson club.